Point number one is to remember that your user base is individuals, and so you should create your ads accordingly, not using some kind of ‘blanket’ technique. With the advent of new applications this is made all the easier, and lets the viewing process feel seamless instead of having to bounce screens to view content. 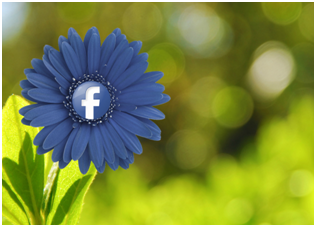 Individual users can also, if kept within the face book experience, point out your content to other users. These new applications also allow you to get information specific to a given group of users, so that you can use buttons and other ad on technology on your site, where the advertisements will lead to. Second is to use data so that your advertising hits a larger user area, getting your content seen by more people. Do some in depth looking into what the users actually like. For instance, instead of using the keyword hiking, you could use this research and expand it to ‘hiking in Ohio,’ or ‘barefoot hiking.’ This kind of data will allow you to fine tune your advertisement. You may, thirdly, want to consider breaking up the groups that certain advertisements will reach. This goes along with the first point, that users are a varied group of people. On the decision making side of this, it would mean that, perhaps, one age group would be more affected by an ad than another, and so you would want to tailor your content accordingly. This would also improve cost effectiveness of your efforts. Fourth, you are going to want to make your advertisement stand out to users that are quick to look at content and move on. There are ways to do this within the face book interface. The case may be that it does not matter what your advertisement looks like, but where and how it is placed on the page a given user may be viewing at the time. People are generally going to be on the social networking site to do just that, network. They are not there to research or find new products, so putting your ad in a place that gets a person’s attention is important. These tips will help you stay ahead when it comes to getting the attention of a varied and ever changing potential clientele. Face book is an excellent resource when the individual users are treated as just that, individuals, and advertising is adjusted to fit.